Venturi team principal Susie Wolff has declared “you should never underestimate Felipe Massa”, despite the ex-Formula 1 driver's low-key start to his ABB FIA Formula E career. Massa is one of five drivers yet to score a point in the 2018/19 FE season. 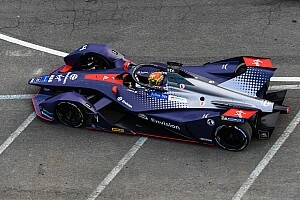 The Brazilian made a notable start to his debut season by earning two Fanboost penalties in Ad-Diriyah that led him to being classified 17th, although he showed his mettle in wheel-to-wheel combat. The former Ferrari and Williams F1 driver then finished 18th in Marrakesh, but did improve to qualify a season-best ninth place in Santiago before retiring in the race following a clash with Nissan e.dams's Oliver Rowland. But Wolff says she has no doubt that Massa will improve: “You should never underestimate Felipe Massa, just based on his past career. 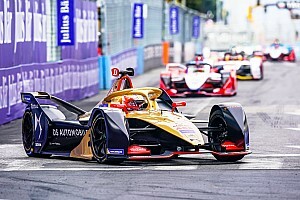 “He's a guy who knows what it takes to be successful in a racing championship and he has definitely not underestimated the challenge of Formula E. It's a completely different format that takes a bit of getting used to. It's a one-day event, there's no room for error. “You start the morning and before you know it the race is over and you haven't had time to discuss everything that's gone on in between. This different platform is definitely a challenge for the rookies and it will take them maybe that little bit longer to get up to speed. 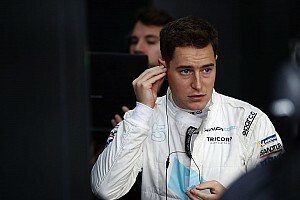 Edoardo Mortara had Venturi's best finish of 2018/19 to date in Santiago by taking fourth, with Wolff believing Venturi now has “momentum” after scoring points for the first time this season. Massa says the improved pace of Venturi's powertrain, which HWA also uses, shows points are close. “I don't have points yet, not only my fault to be honest,” he said. “The first two races I had a lot of problems in terms of the technical side, we couldn't score points with both cars. 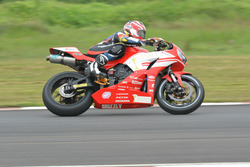 “The last race things were going better we had two cars - even three cars with HWA - qualifying inside the top 10. In the race unfortunately the guy [Maximillian Gunther] pushed me in the wall and broke my suspension, I couldn't finish.